The slightly discordant, deep nasally tones of the Greek Catholic Bishop of Tyre's chanting was slightly offset by the choir of young, compared to the Bishop that is, people chanting the refrains during what was a long but fascinating Mass in the old Greek Catholic church in the Christian Quarter of Tyre. Tyre of course, dates way back to the third Millennium BC but its heyday was during the reign of King Hiram who ruled circa 980 BC and established the Phoenicians as the masters of sea-going trade and commerce. These magnificent traders plied their trade along the Mediterranean and beyond and so successful were they that they established cities along the entire coastal fringe of the Mediterranean including the likes of Carthage in North Africa, Cadiz in Spain (the old Pillars of Hercules) and at their height they controlled virtually the entire Mediterranean. Wandering around Tyre today, the physical remains of nearly 5000 years of habitation are visible in a way not seen in Europe. Running along the beach you need to watch out so as not to trip on remnants of Greek and Roman pottery, snorkelling in the sunken remains of the old Egyptian harbour you need to navigate around fallen granite columns imported thousands of years ago from Egypt in exchange for Lebanese Cedar. The history is everywhere and unfortunately it is all not ancient, this region, more than other has been marked by the march of invading armies from the Assyrians, Babylonians, and the Greeks, especially Alexander the Great who in a fit of pique in 332 BC after the then island state of Tyre refused to let him offer a sacrifice at their Temple of Melquart on the island, waged a 12 month devastating siege on what was then a series of island linked together. Frustrated by the lack of progress by his naval commanders, he ordered a 'mole' to be built, which was effectively a narrow causeway extending from the coast out to the Tyrian defences to enable his troops to storm the island. At a serious cost he achieved this after a 12 month debilitating siege for both sides. The result of this today is that the modern city of Tyre is built on the remains of the sand bar that built up over this stone structure that Alexander built to reach the old city. But drifting back to the Sunday Mass in the old church, as the pungent smell of incense wafted up towards the sandy brick roof, it seemed to hang for a period, reflected in the smoky light coming in from the tall windows. The long chants, and the fact that the Bishop and his priests seemed to sing rather than say every prayer, were followed by what seemed a constant standing up and blessing oneself in what I presumed was the more Orthodox style i.e. a double blessing of oneself with the right hand and from right to left. In a strange way I had a weird flashback to being a small kid in the church in Castlebar and, as at that time (showing my age now) the Mass was, I think, in Latin and the priest spent most of his time facing the altar. The similarities were striking as here all four priests spend more time facing the altar than facing the congregation. I had a vague sense back then that prior to the Mass being nearly over, obviously kids focus on the important parts, there was a really long prayer in Latin. When I mentioned this to my parents Paraic and Bernie a few weeks ago and they happened to meet that wonderful Castlebar writer Michael Mullen and asked him whether that could that have been. The answer is that yes it could well have been as the Latin Mass only ended in the early to mid sixties. I am grateful for him for sharing that because in that weird way that Castlebar people connect around the world, I was returning from a fairly difficult posting to Lebanon some years ago and was one of the first people to fly home from the airport in Beirut, and while waiting for my flight I spotted in what was a tiny duty free shop, one of Michael's books. I thought isn't the world a small place, that coming out of a war zone I can buy the work of one of the 'Auld Stock'. However I digress, what am I doing listening to the Greek Catholic Bishop of Tyre reciting psalms in Arabic? Well I am back in Lebanon some 30 years after serving here for the first time as a young Private in 1984. 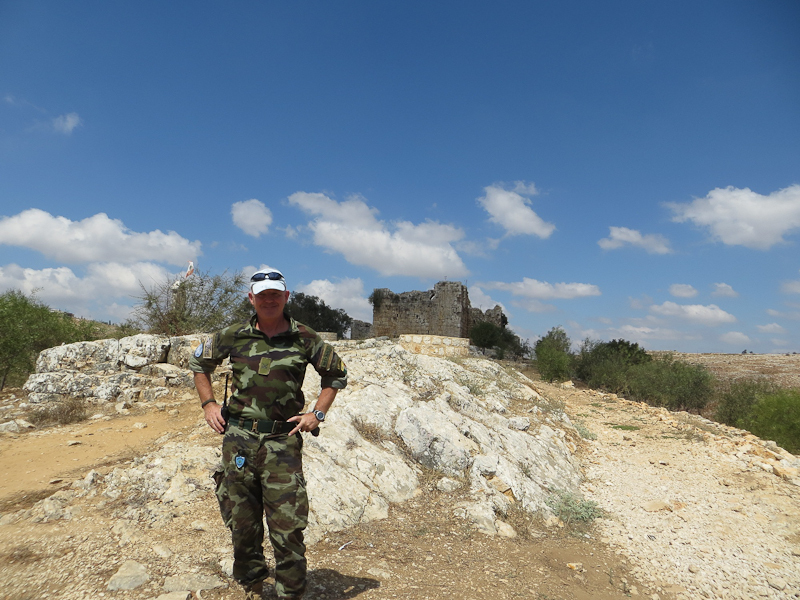 I have since been here as a Lt in 1993 and 1996 and as an unarmed Military Observer in 2006 with my family, who were then evacuated during the 34 day war between Hezbollah and Israel. In ways this country has changed remarkably and yet in others, when you go into the smaller villages and sit down to share some of the rich treacly coffee that the older generation love, you realise that the old Lebanon hasn't gone away, it still lingers in the rituals around the serving of lemon grass tea in finger bowls to unexpected guests, the elaborate boiling, stirring and pouring of small glasses of sweet scented tea, the formal offering of delicate super sweet bites, the constant concern, "some more Chai (tea), coffee, sweets". And it is in these small villages, where they have probably suffered more than most in the long list of wars that have ravaged the region, that you get a sense of not really serenity, that would be way too condescending, but a sense of "this is reality and this is how we will get through it, Inshallah (with God's help)"
I have unfortunately shared their wars and lost comrades along with their own. There is no avoidance of fate in the Middle East whether it be for locals, or for some of the thousands of UN military and civilians, not to mention the numerous NGO's that strive to bring peace to a region that has been troubled for far too long and is not looking at an end to it in the near future. 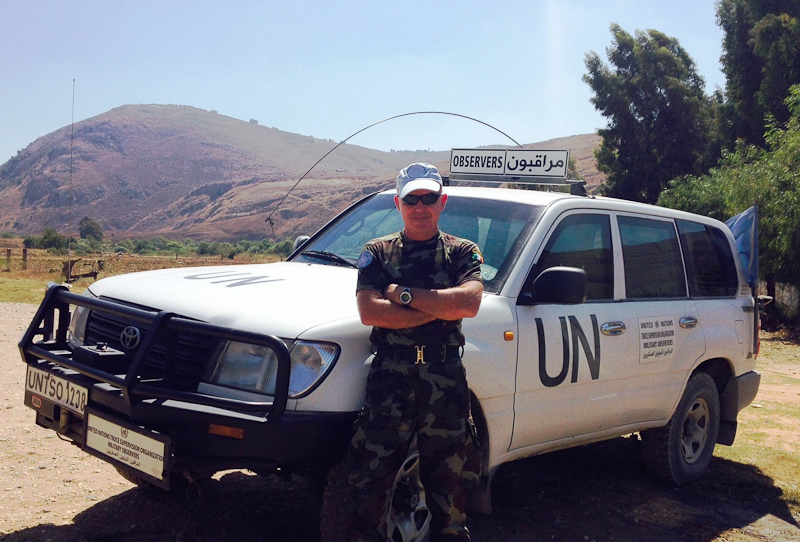 The Mission I am currently deployed with is UNTSO (United Nations Truce Supervision Organisation). In November 1947, the United Nations General Assembly endorsed a plan for the partition of Palestine, providing for the creation of an Arab State and a Jewish State, with Jerusalem to be placed under international status. The plan was not accepted by the Palestinian Arabs and Arab States. On 14 May 1948, the United Kingdom relinquished its mandate over Palestine and the State of Israel was proclaimed. On the following day, the Palestinian Arabs, assisted by Arab States, opened hostilities against Israel. On 29 May 1948, the Security Council, in resolution 50 (1948), called for a cessation of hostilities in Palestine and decided that the truce should be supervised by the UN Mediator, with the assistance of a group of military observers. The first group of military observers, which has become known as the United Nations Truce Supervision Organization (UNTSO), arrived in the region in June 1948. In 1949, UNTSO military observers remained to supervise the Armistice Agreements between Israel and its Arab neighbours, which were for many years the main basis of the uneasy truce in the whole area. UNTSO's activities have been, and still are spread over territory within five States, and therefore it has relations with five host countries -- Egypt, Israel, Jordan, Lebanon and the Syrian Arab Republic. Following the wars of 1956, 1967 and 1973, the functions of the observers changed in the light of changing circumstances, but they remained in the area, acting as go-betweens for the hostile parties and as the means by which isolated incidents could be contained and prevented from escalating into major conflicts. During my two year deployment to the region I will serve in at least two if not three of these countries. So what do we actually do as unarmed Military Observers, well, UNTSO is divided into two Out Stations, Observer Group Golan, OGG, which monitors the ceasefire lines between Israel and Syria following the 1967 and 1973 wars. Traditionally it was split into two smaller groups, one based in Damascus and operating on the Syrian side of the ceasefire line on the Golan Heights and the other one based in Tiberias and operating on the Israeli occupied side of the ceasefire line. 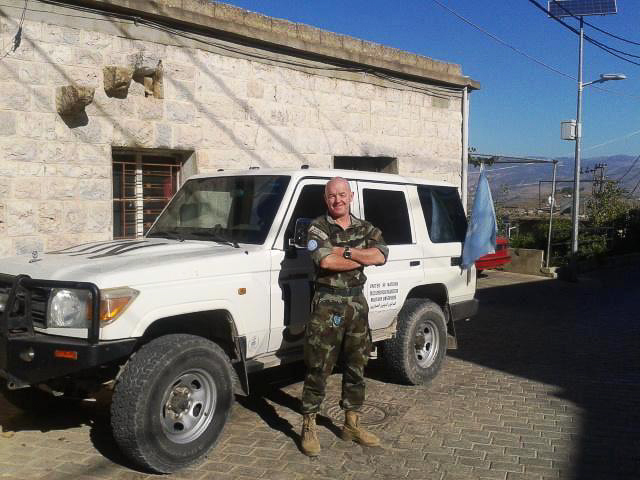 The current conflict in Syria has forced the redeployment of all observers out of Damascus and into Tiberias. The other group is Observer Group Lebanon, OGL which is based in Naquora in south Lebanon and this is where I am deployed. All observers here live in the city of Tyre and deploy up to a Patrol Base for anything between seven and 14 days. While operating from the Patrol Base, we have to operate with two officers from different nationalities to avoid bias. 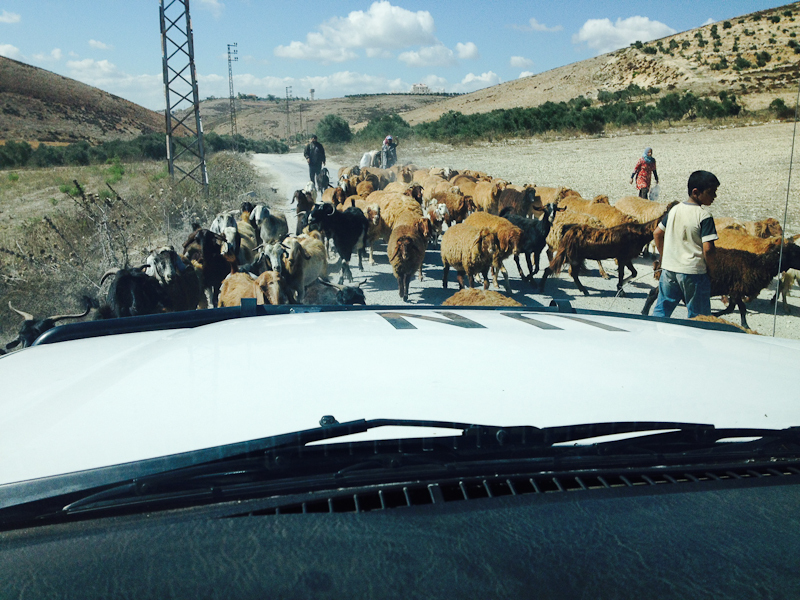 We also travel with a local interpreter and each team has generally a Muslim, a Druze and a Christian interpreter. Our days on patrol are spent monitoring the Blue Line. This is a demarcation line to confirm the Israeli withdrawal from Lebanon in 2000 in accordance with UN resolution 1701. This is not an international border but is a means used to verify violations by either Lebanon or Israel of line of withdrawal. It is an imaginary line, with an ongoing project by the UN to erect Blue Barrels every 800 to 1000 metres to indicate where this line is. Needless to say it is difficult to grasp the subtleties of where it runs but people have been killed by transgressing it so it is vital that we have a complete knowledge of its location. What causes great confusion, especially with the locals, is that the Israeli border fence was constructed close, sometimes only a metre away, and sometimes over 200 metres away and this was done for tactical purposes but a lot of the locals think that the fence is the border and this naturally leads to confrontation. We also carry out meeting with the local Mayors, Mukhtars (a locally elected village leader) the Gendarmerie and the Lebanese Army and in this way we are the eyes and ears of the Force Commander and our reports increase his situational awareness. Unfortunately this is a difficult time for Lebanon and the influx of refugees from the conflict in Syria has placed a huge burden on a weak economy. To put the numbers into perspective, Syrian refugees, at approx 1.2 million, constitute a quarter of the population of Lebanon. The fact that most of these are Sunni Muslims has not helped the delicate balance between religions here, currently divided between Shia Muslim, Sunni Muslim, Druze (an offshoot of Islam) and Christians. The fighting in Syria has spilled over into Lebanon and 2 rebel groups have taken 35 Lebanese soldiers and security forces hostage. They have already beheaded four of them and this weekend executed a fifth and captured three more. There is now a growing concern that Syrian refugees will be targeted in revenge attacks. The northern city of Tripoli has been split with intra Shia/Sunni strife and of course here in the South the situation along the frontier with Israel is always tense. But when you walk back from Mass in the Christian quarter as I did this morning and see the hustle and bustle of everyday life, there is no sense of impending doom and the locals are extremely friendly and smile approvingly as I try out my limited Arabic. The fact that we live in Tyre has its benefits and when we are off, there is the chance to wander around the Hippodrome, constructed in in the 2nd century BC, and is the second largest Roman chariot racing arena ever discovered. For those of you of a certain age, it is where Ben Hur was filmed. There is great snorkelling at the edge of the old city and due to a series of earthquakes that devastated Tyre and left much of it below sea level, it is possible to snorkel along sunken Roman roads and pass huge fallen granite columns. The last time I did this I spotted a few large turtles meandering their way in about 2 metres of water, naturally I followed them as they became a family group of four and were completely unperturbed by my diving down and hitching a ride for a few seconds by holding the shell of one of the larger ones. By the time I had enough and decided to turn back I was nearly a kilometre out to sea!! There is also the Souk, which is a the local market and it is a feast for the senses, the smell of pungent spices drifting along the very narrow streets, the shouting of the various traders and the sights... colourful drapery stalls, freshly caught fish flapping in baskets, recently slaughtered cows and goats strung up and the freshly cut meat snapped up by eager locals. It is a far cry from the Irish shopping experience but in reality is probably not too far away in time either and I am sure some of the older readers can remember the local butchers like Seanie Kilcoyne proudly displaying their produce. I can remember that Castlebar had a number of bakeries like Lavelles, where my great grandfather worked, sweet shops like Joe and Maureens in Castle Street, draperies, cobblers, hardware stores, newsagents like Wynnes and small grocery stores like Lilys in Tucker Street. The advent of the ubiquitous super-stores has killed all the small family run shops and unfortunately that seems to be the way things are going. It's a case of one-stop-shopping now and even petrol stations are also convenience stores, I think the answer is in that word...convenience, perhaps we are all too busy with our own lives to look for a local baker, draper, vegetable shop, butcher and opt for the easy option of the big stores. Anyway, enough reminiscing, the sun has returned, the sea is calm and it's time to go for a gallop along the beach. As usual at this time of year it is worth remembering the people from Castlebar dotted all around the world, no doubt thinking wistfully of Christmas in Castlebar, the old rituals, meeting with friends on Christmas Eve in Johnnies or elsewhere, early Mass on Christmas morning followed by the charity swim up the lake, chill out in the afternoon!!!!! To one and all I wish you the very best of Christmas and New Year greetings from South Lebanon. 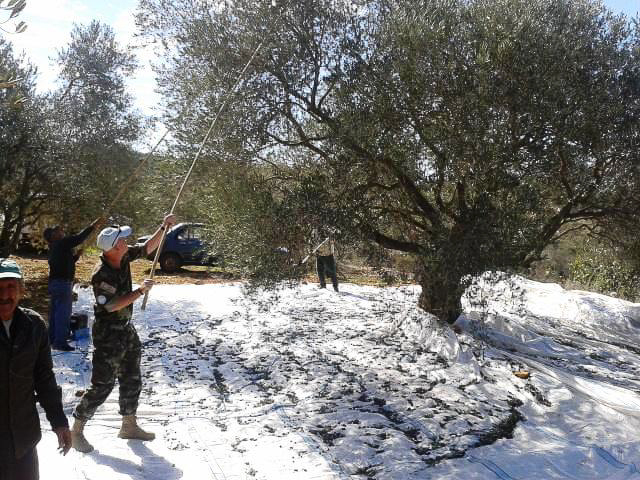 In the attached pictures you can see the fact that Tyre is indeed an island connected to the mainland by a narrow isthmus, the picture of the olive harvest just shows how we interact with the locals that we meet while on patrol, in this case we chatted with the old man harvesting the olives the old traditional way (apparently it makes for better oil) and never being one to just look while I could experience something I decided to give him a hand, which was apparently the funniest thing they had seen for some time. But still it was great just to share some time with them and learn some of their customs. 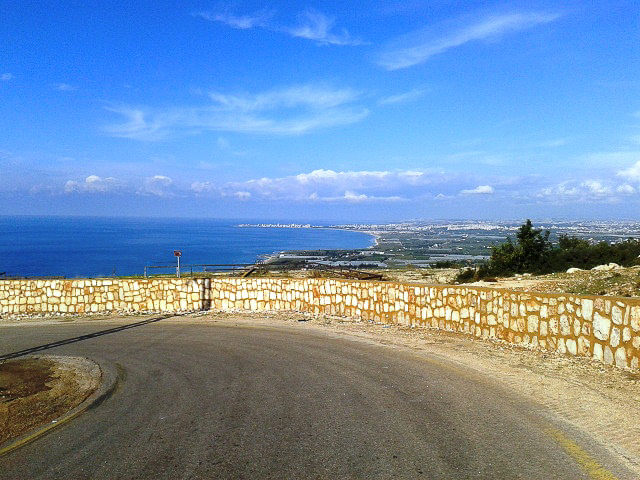 Best Regards from the Lebanese city of Tyre. Kevin Mc Donald is a son of Bernie and Paraic Mc Donald from Greenfields. He has previously served overseas in Lebanon in 1984/5, 1993, 1996 with UNIFIL, 2005 to 2007 in Israel, Syrian and Lebanon with UNTSO, 2010 in Chad, 2012/13 Western Sahara, 2013/14 with the European Union in Mali and is now back in the Middle East again.